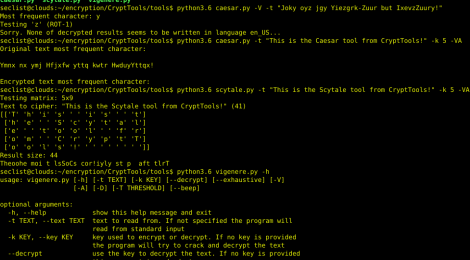 Browse: Home / CryptTools – Tools for encryption, decryption and cracking from several cryptography systems. 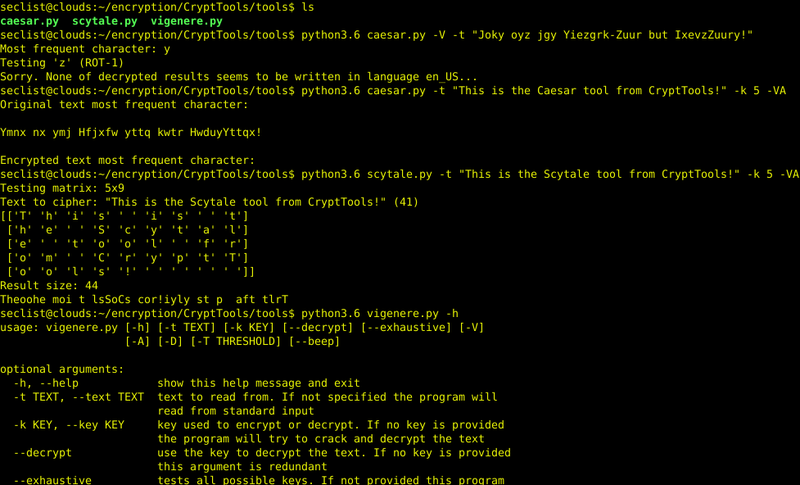 CryptTools is a Tools for encryption, decryption and cracking from several cryptographic systems. 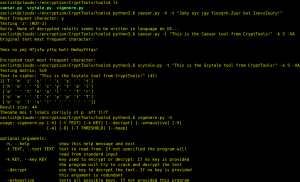 + Scytale: is a tool used to perform a transposition cipher, consisting of a cylinder with a strip of parchment wound around it on which is written a message. The ancient Greeks, and the Spartans in particular, are said to have used this cipher to communicate during military campaigns. + Vigenère cipher is a method of encrypting alphabetic text by using a series of interwoven Caesar ciphers based on the letters of a keyword. It is a form of polyalphabetic substitution. + Python 3.6.x and numpy, pyenchant library. python3.6 caesar.py -V -t "Joky oyz jgy Yiezgrk-Zuur but IxevzZuury!" ← theharvester v2.7.1 – email, subdomain and people names harvester.